On this adults-only murder tour you will learn of the sordid details behind New Orleans' dark history. Not for the faint of heart! 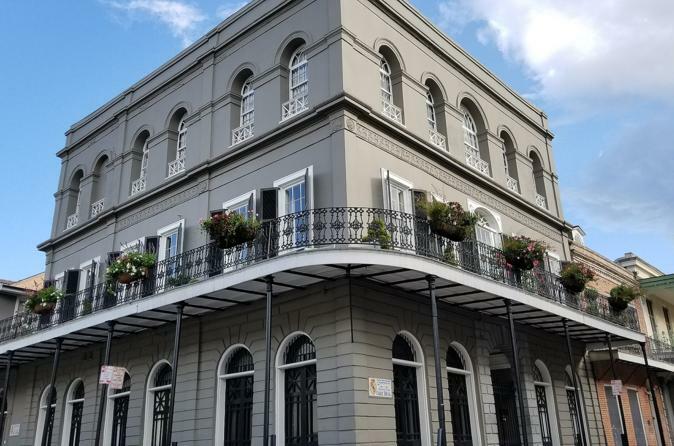 We take you on a journey through NOLA's real-life horror stories including Madame LaLaurie, The Trunk Murders and The Katrina Cannibal. You'll see where it all happened, understand the history behind it, and how the echoes of gruesome crimes still cry out. Maybe ghost stories don’t quite pique your interest, but you have that curiosity about the dark side of humanity. Some of the most terrifying things are what people do to each other, and perhaps you want to glimpse into this corrupt corner of New Orleans. - Ghastly story of the infamous Trunk Murders from 1927 And, more! Tours are nightly 5 & 7 pm. Tour group size is never over 15 guests unless a private tour was arranged prior to tour. Tour is designed to be 1.5 hours, but can run up to 2 hours. Check in is 15 minutes prior to start. For everyone’s courtesy, tours leave on time. Tours go on rain or shine. Tours are about a mile walk. Tour does not end where tour starts. Guest will be helped after the tour with directions to where they are going next.